The woman who was found dead in her apartment last Sunday was 60-year-old Rosa María, who was allegedly killed by her Venezuelan nephew and partner. The woman, who comes from La Palma, moved to Ofra a few months ago with her 58-year-old partner. In 2014, she had reported her nephew for a bodily injury and obtained a one-year restriction order. It was not known at that time that the two were a couple. In July of last year, she was again under treatment at the La Palma hospital for injuries inflicted on her by her partner. However, she did not want to press charges. A little later they moved together to the Ofra district of Santa Cruz, where she was killed by the same man on Sunday. 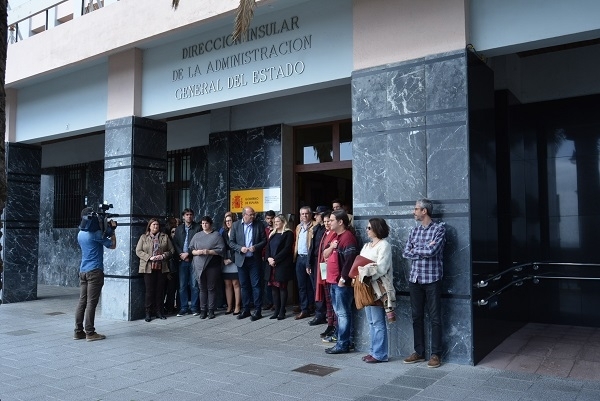 The Canary Islands government and several island councils, such as La Palma, observed a minute's silence for the woman yesterday at noon and rejected all forms of violence against women. Produced with news.CMS in 0,0850 seconds.